HNF1A is a gene coding for the transcription factor HNF1-α, mutated in some forms of MODY and type 2 diabetes mellitus characterized by a strong genetic component. The penetrance of HNF1A variants differs considerably; thus, to assess the genetic risk of diabetes in carrier subjects of a HNF1A mutant allele, a functional characterization of mutant forms is of paramount importance. 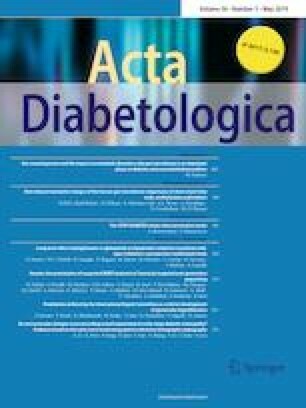 The HNF1A gene was sequenced in two patients with partly discordant diabetic phenotype, carrying the p.Pro409His variant. To evaluate the pathogenicity of the variant, we measured the transactivation power of the corresponding P408H HNF1-α mutant mouse form on HNF1-α target promoters. We found a lower but detectable activity of transactivation of the mutant form compared with the wild-type form and we excluded mechanisms of protein degradation or nuclear mislocalization. The HNF1A mutation p.Pro409His can be considered a mild variant that confers a moderate risk of type 2 diabetes mellitus in heterozygous carriers.